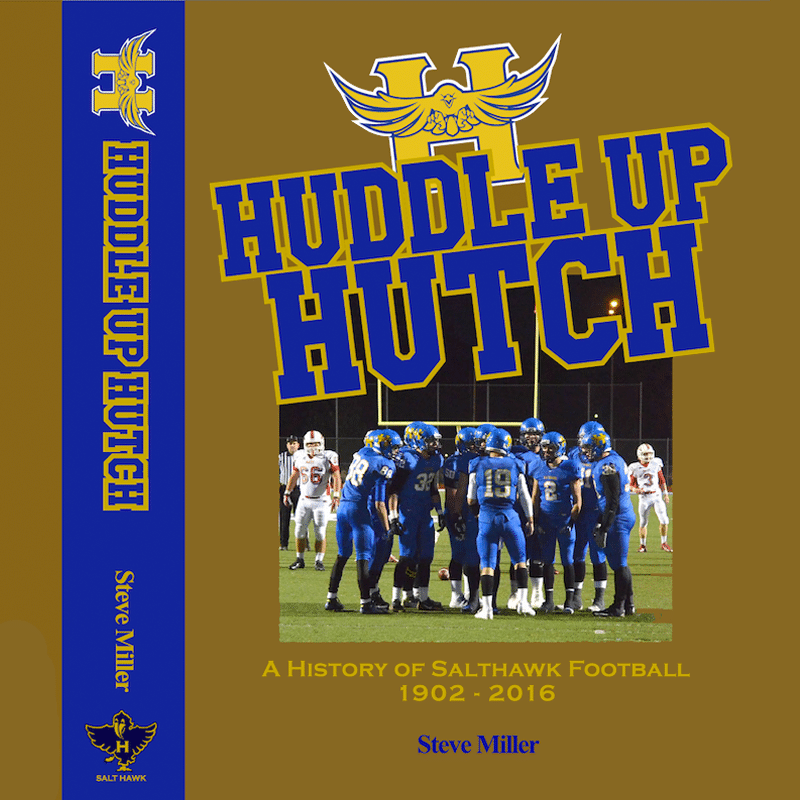 Huddle Up, Hutch is a MUST PURCHASE for anyone connected to Salthawk Football – players, coaches, managers, fans, relatives, and anyone who ever lived in, or near, Hutchinson, KS, from 1902 to 2016. 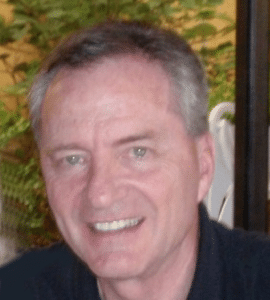 Steve Miller did a remarkable job researching, compiling, and presenting history, stories, and photos. The day the book arrived, I thought I would set it on the shelf and occasionally refer to it. Once I opened it and started reading the fascinating accounts, I became so engaged in it that I could not resist studying each and every page! Thank you for dedicating years of skill and effort to this worthy endeavor, Coach Miller! Thanks for the amazing book and for all your hard work putting it together. It is a great day to be a Salthawk! 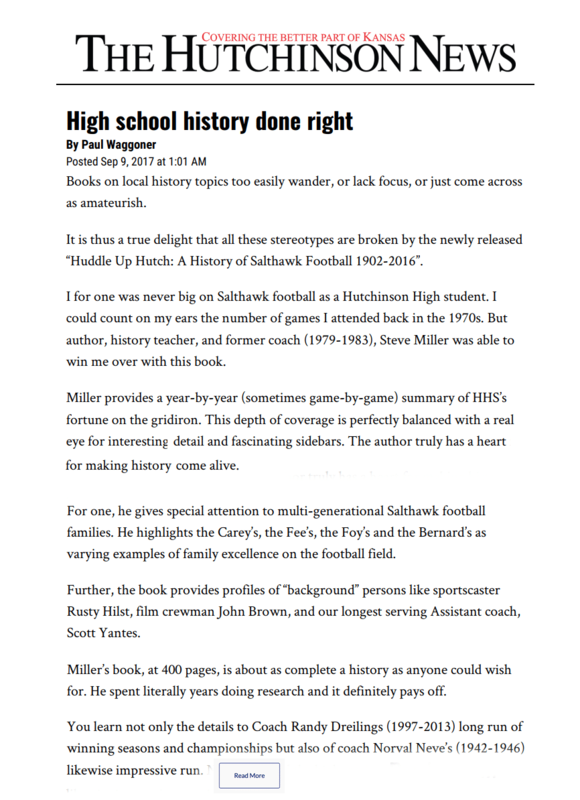 In my 60 plus years of sports involvement, I have never seen or read a more complete coverage of a school sports program than Steve Miller has put into print in this "One of a Kind" book! He has rekindled the past for me and everyone else in Hutchinson. Congratulations on this major accomplishment. Your determination and perseverance are to be admired. You're a prime example of walking the walk, not just talking the talk. Thanks for the time we've spent together on and off the field.